Ibis House is a luxury six bedroom villa, with 20 metre pool, set on seven acres of lush private garden in the heart of Constantia Winelands. Whilst totally private, Ibis House is minutes from several top restaurants, wine routes and designer shopping malls. The beaches of false Bay are minutes away. Villa Ibis is available as a full villa rental or on a room basis, please enquire for room rates. Ibis House can provide airport transfers to and from Cape Town International airport and staff are more than willing to provide assistance or advice with any travel or entertainment requirements. Eat in kitchen with table for 12. Fully equipped with 5 star appliances and equipment, cosy doubled sided fireplace. Ibis House is located in the heart of Constantia Winelands just minutes from Groot Constantia, Klein Constantia and Uitsig vineyards. Ibis House borders on Tokai forest and is a 10 minute walk from the 150 year old Arboretum. Within a 12 minute drive is table mountain national park, Kirstenbosh botanical Gardens and the Beaches of False bay. Within a thirty minute drive are the Atlantic side beaches Landudno, Camps bay and Clifton. Also within thirty minutes is the world renowned Victoria and Alfred Waterfront and the world cup Stadium. If one wishes to do a trip along the peninsular through seaside towns Kalk Bay, Muzenburg and Simons Town ultimately ending in Cape point nature reserve you will find Villa Ibis an excellent starting point. 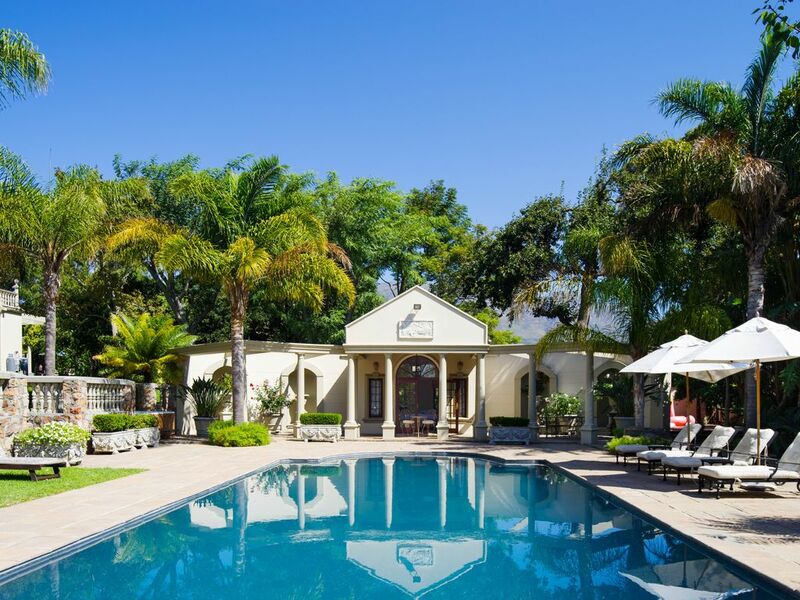 Villa Ibis is the perfectly located for those who wish to enjoy the tranquillity, wine and culture of Constantia whilst remaining close to all of Cape Towns Major Attractions.